Sen. John McCain, R-Ariz., will be buried “back where it began,” next to his old Navy buddy Chuck Larson–not at Arlington National Cemetery where his father and grandfather are buried. 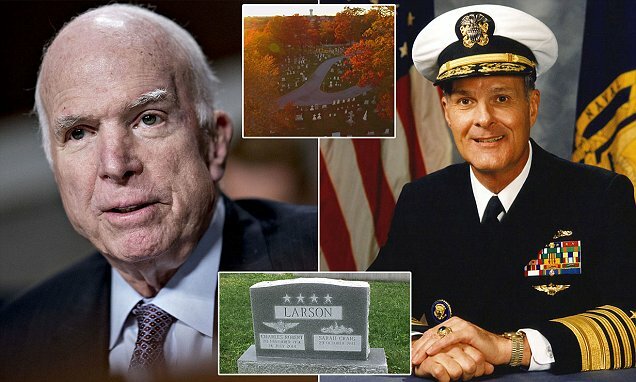 A Naval Academy spokesman has confirmed that McCain has a dedicated plot at the cemetery that is close to Larson. McCain and Larson developed a lifelong friendship during their time in the Naval Academy. Larson died in 2014 at the age of 77.